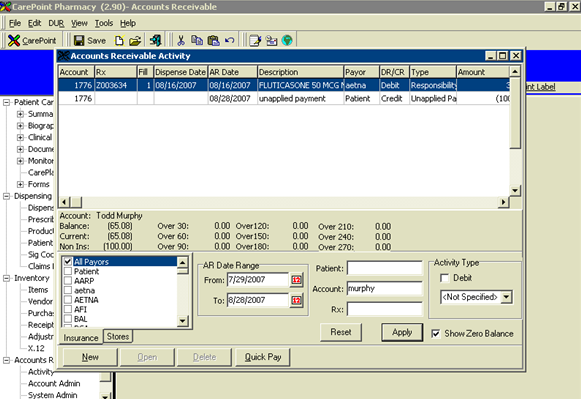 When unapplied payment has been made, this goes against the patient account balance not a specific Rx. 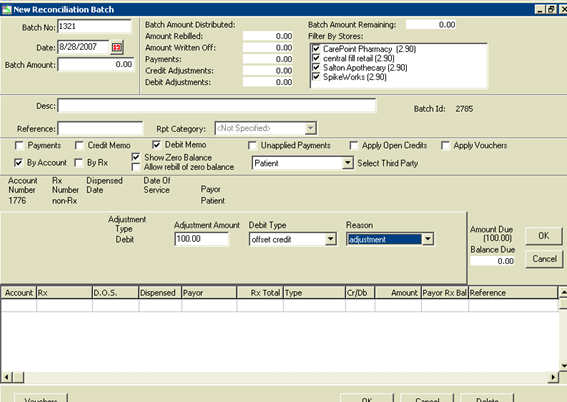 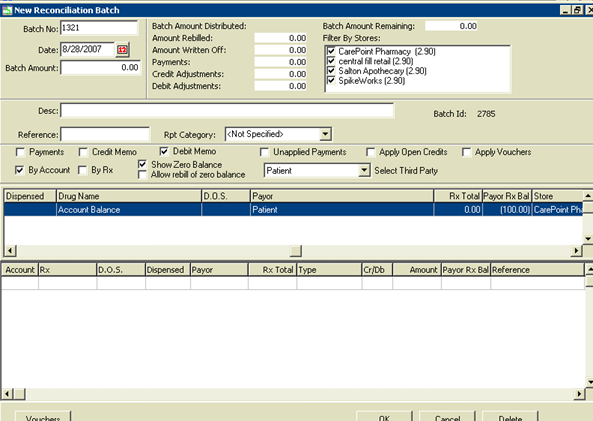 Use debit memo, mark show zero balance and allow rebill to zero balance, this will pull up a credit “account balance” which is the non Rx balance that includes the unapplied payment. 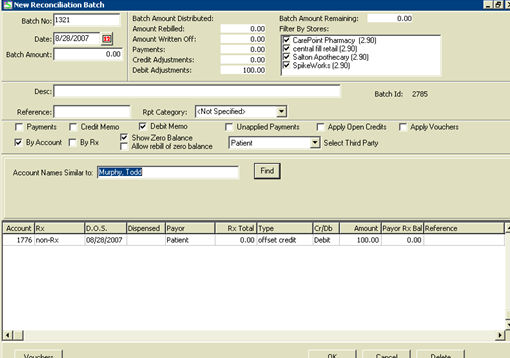 This clears the unapplied payment which leaves no Payor Rx balance for the account.